Calories are our bodies’ fuel. They give us the energy we need to keep going and help our bodies function properly so we can stay healthy and active. Through eating a well-balanced meal, we get the calories we need to energize our body and our mind. If you’ve ever dieted before, you also probably know that calories play a huge role in weight gain or weight loss. As we go through our day, we burn off the calories that we eat. If we eat more calories than our body will burn, they will be stored for energy at a later date and we will put on a few extra pounds. On the other hand, if we eat less calories than our body will burn, it will need to use that stored fat for energy and we will lose weight. How Can Calories Be Empty? What is So Bad About Calories Without Nutritional Value? Where Are Empty Calories Found? When you eat a meal that is rich in vitamins, nutrients, proteins, fiber, and amino acids, you’re giving your body everything it needs to make it to the next meal. You have the right amount of energy, your feeling alert and awake, and you’re ready to focus on the tasks you need to complete. But when you eat a meal that is completely lacking in vitamins, nutrients, proteins, fiber, or amino acids, you may have a quick burst of energy, but you don’t really feel nourished. You may feel tired or fatigued, have difficulty focusing, and you probably get hungry rather quickly. This is because calories are not the only things you need to be nourished. Calories that don’t have nutritional value usually come from fats and sugars. While some amount of fats and sugars are okay in your diet, if you the majority of your calories are coming from fat or sugar filled foods, you’ll probably find that you’re gaining weight. When you eat calories without nutritional value, your body will still crave the proteins, fibers, and vitamins that it needs. In an effort to get those nutrients, you will still feel hungry or not satisfied with your meal. 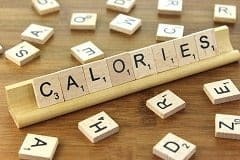 Because calories do little to satisfy hunger, trying to fill up on food without nutritional value could have you eating hundreds and hundreds of calories that really do nothing for you. Your body needs and wants more than just calories. For this reason, you can’t only feed it the recommended number of calories and expect it to run efficiently. Instead, you need to eat a well-rounded and balanced diet that covers all your bases. As we briefly mentioned, calories without nutritional value are usually found in foods that are either high in sugar or high in fat and oil. Other common places where you may pack on calories without even realizing it is through alcoholic drinks, like sugary cocktails or even beer. Knowing where these calories are can help you to best avoid them. Whether you’re looking to lose weight or you just want to be more conscious of what you’re eating, here are some of the foods that are the biggest empty calorie culprits. Baked goods may make us feel like a kid again, but unfortunately, they are one of the biggest culprits for providing calories that really have no nutritional value. These foods are loaded with sugar, especially when extras like frosting or chocolate chips are included. 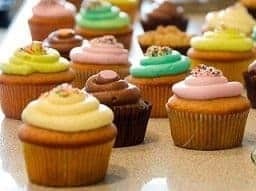 On average, just one cupcake will have about 200 calories while offering less than 2 grams in protein and almost no vitamins at all. Comparatively, one chocolate chip cookie has about 60 calories and just over half a gram of protein. If you’re looking for something sweet, try reaching for a bit of dark chocolate instead. As something that can curb your cravings, dark chocolate is actually rich in antioxidants. As an added bonus, the slight bitterness of dark chocolate can also cause you to eat less of it, so you won’t find yourself endlessly reaching for more. Many of us love our fried potato products, but unfortunately, they’re not that great for us. Because they are soaked in oil, it adds a number of calories that have no nutritional value for us. 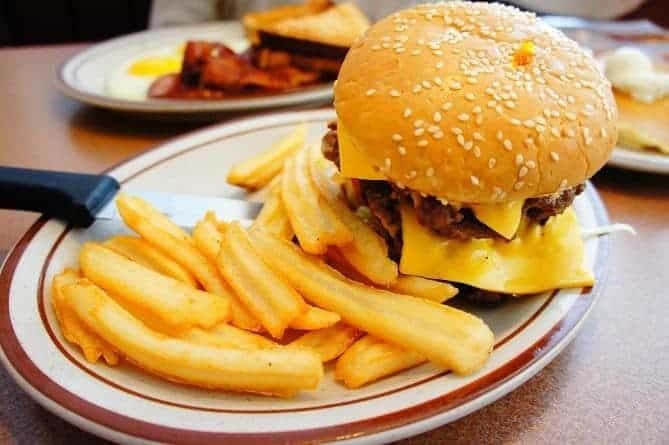 Additionally, that fried taste can become addictive, making it difficult for you to stop eating fries or chips. 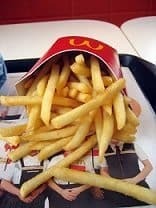 A small serving﻿﻿ of McDonald﻿﻿﻿﻿’﻿s French Fries will have just under 225 calories and quite often this is paired with another high-calorie, grease-filled item such as a cheeseburger or chicken nuggets. When looking at the minerals and vitamins of these French Fries, you barely find enough to discuss. If you’re craving a salty snack, turn to something a little healthier like baked chips, pretzels, or popcorn. Because they are baked instead of fried in oil, you do not have the added calories that make French Fries or regular chips so bad for you. When we think about the calories we consume in a day, we rarely think about how many of those calories come from our beverages. But sodas, fruit juices, and energy drinks can actually be one of the biggest high-calorie culprits you’re consuming. A 12-ounce Coca-﻿﻿Cola, which is a children’s size by McDonald’s standards, has 110 calories and absolutely no nutritional value from fatty acids, proteins, vitamins, and minerals. At 110 calories, you could be getting a full, nutritional snack. Unfortunately, packaged juices aren’t much better as they are normally loaded with extra sugars. If you’re looking for a healthier beverage option, your best bet is to stick with water whenever you can. Because water is naturally calorie free, you can drink as much as you need without worrying about what weight you will gain. 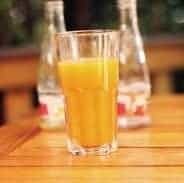 Fresh fruit or vegetable juices without added sugars can also be a viable option. When we decide to replace a meal with a salad, we typically pat ourselves on the back and then cover it in high-calorie dressings. Worse yet, many of us choose to dip other high-calorie foods, like pizza or wings, in these dressings. 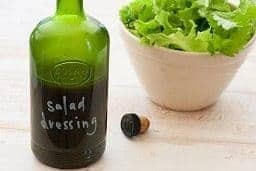 Ranch, blue cheese, Caesar and just about any other dressing that is creamy will have a high calorie count that completely defeats the purpose of eating a salad. Ranch ﻿﻿dressing has about 150 calories in a 2 tablespoon serving while also adding no nutritional value to your meal. The same size serving of blue ﻿﻿﻿cheese dressing will have similar values. When choosing a dressing for your salad, consider an option that is lighter. Because these thick dressings usually have a base of mayonnaise, it is easy to understand why they are so high in calories. Instead, select a dressing with an oil or a vinegar base, such as vinaigrettes or low-fat Italian dressings. If you want to avoid dressings all together, a few squeezes of fresh lemon can help bring out the natural flavors in your salad. When we sit down to have a glass of wine or a beer after a long day at work, we rarely think about the calories in the drink we’re consuming. But just like sodas and juices, alcoholic beverages cause us to consume hundreds of calories without even realizing it. If we enjoy mixing fancy cocktails or frozen drinks, we’re adding sugar and other calories without increasing the nutritional benefit. 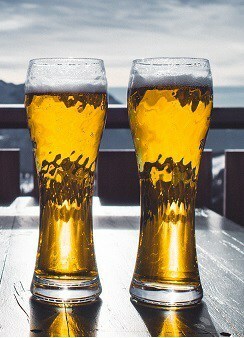 In 12 fluid ounces of light beer, you will consume 110 calories. While this may not seem like too many, consider the fact that we rarely have just one. One 5 fluid ounce serving of pinot gris white table wine has even more calories, coming in at just over 120. If you’re a fan of liquor, the typical 1.5 ounce shot glass holds just under 100 calories of alcohol. Choosing better alcoholic beverages can drastically help you cut calories. Instead of drinking beer, which often requires you to drink more, switch to a liquor of your choosing. For wine fans, a red or white wine that is low in residual sugar is a better choice than sweeter options. When ordering a liquor drink, think about the added calories in your mixer as well. Calories without nutritional value do nothing for our bodies. While they may taste great and are fine in moderation, knowing what they are and the consequences of too much can help you lose weight and feel better during the day. I hope that you’ve enjoyed reading this list and you’ve learned something from it. If you think your friends and family may enjoy this list as well, please share it! [2019 Sexting Examples] – How to sext to turn him/her on?